​Leicester welcome Manchester City to the King Power Stadium on Tuesday night for their EFL Cup quarter-final clash. 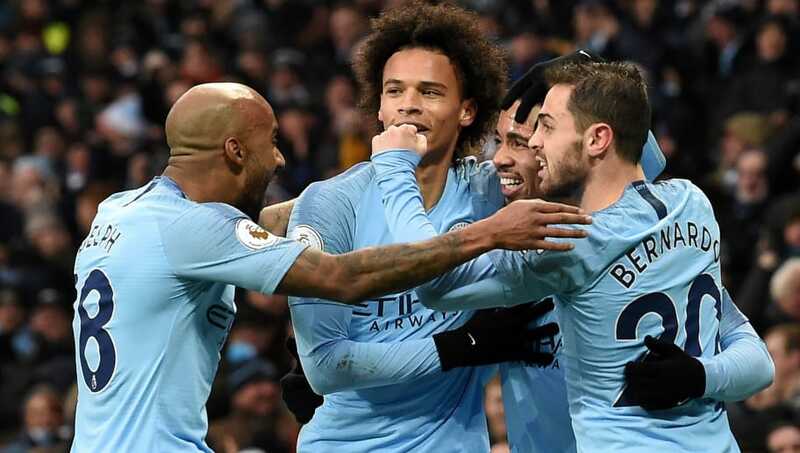 The Citizens will be hot favourites to progress with manager Pep Guardiola taking the competition seriously this campaign by fielding strong teams that dismantled both Oxford and Fulham in previous rounds. The Foxes meanwhile have been struggling of late and may hope a surprise victory can kickstart their Premier League campaign which appears to have stalled, having won just two of their last ten games. Check out 90min's preview for the EFL Cup clash below. The Foxes should be able to call on three England internationals for Tuesday's clash as ​Harry Maguire, ​Jamie Vardy and Ben Chilwell are all expected to play some part. Chilwell was missing from the Leicester side that was beaten by ​Crystal Palace at the weekend but has reportedly overcome a slight knee problem. Danny Ward is expected to take over from ​Kasper Schmeichel in goal as the ex-Liverpool man has started every game in the competition. Meanwhile Danny Simpson, ​Jonny Evans, Kelechi Iheanacho and Vicente Iborra will all be pushing for starting places having been named to the bench at Selhurst Park. Encouraging news for the Citizens is that ​Kevin de Bruyne is back fit again after damaging the ligaments in his left knee during the 2-0 victory over Fulham in the last round of this competition. Guardiola has confirmed that the Belgian playmaker will be involved and is expected to start in midfield. Goalkeeper Arijanet Muric is likely to take over duties from Ederson between the sticks, whilst youngsters ​Phil Foden, Brahim Diaz, and Oleksandr Zinchenko should all get some game time after finding minutes difficult to come by this season. Guardiola is expected to add experience to the side in the form of club captain ​Vincent Kompany and John Stones in central defence. Man City Muric, Danilo, Stones, Kompany, Zinchenko; Delph, Foden, de Bruyne; Diaz, Jesus, Sterling. Leicester and ​Manchester City have a vast history of playing each-other, dating back to 1895. Since then, the pair have met 115 times with the Citizens certainly fairing the better. They have come out on top in 57 of those games, with 29 Leicester victories and 29 draws. If recent meetings are anything to go by, it looks fairly ominous for the Foxes as they have lost each of their last four clashes against City, including a 5-1 hammering back in February. But on Tuesday night with the King Power roaring their team on, the history books go out the window with the opportunity to reach the semi-finals at stake. Leicester have struggled in recent weeks and have been slowly dropping down the ​Premier League table, finding themselves in 12th place. The club have only managed two victories from their last ten outings and the lack of a in-form goalscorer is costing them. Vardy hasn't found the net since September, Iheanacho has scored two goals all season with Shinji Okazaki failing to register a single strike all season. City have recovered well after their slip-up at Chelsea, beating both Hoffenheim and Everton at the Etihad. Incredibly they find themselves in second place in the table following Liverpool's 3-1 victory over Manchest​er United on Sunday, despite winning 14 of their 17 league games and losing just once. Guardiola will be expecting another good performance on Tuesday as he has made it clear he wants to remain in the EFL Cup, despite admitting some players are beginning to get tired as the manic festive period continues. Despite City not being at full strength, it is hard to look past them with the squad they possess. A few youngsters will be given the chance to prove themselves to Guardiola, but they should have enough to come through what could be a stern test. Leicester won't make it easy for City though and the King Power will be rocking as they welcome the champions to a game under the lights. Despite their poor league form, playing in the cup could provide fresh impetus for Claude Puel's men which will hopefully produce an entertaining game.